A lot of guitars can look very similar from the front. The real test for an instruments cosmetic is when you turn them round and look at the back. 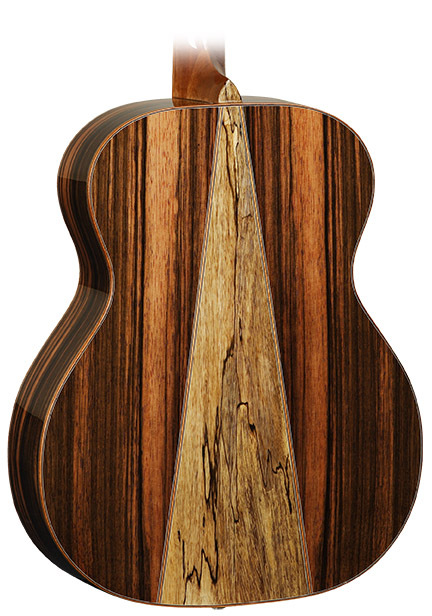 Inspired by Italian marquetry techniques, the Java guitars have an Amara Ebony back and sides with a contrasting strip of Spalted Mango timber defining the back of the instrument and making the Java series really stand out from the crowd. Models come in Travel, Orchestra, Parlour, Dreadnought and Super Folk with the Electro models fitted with Fishman Presys EQ systems and Solid Canadian Cedar tops.